True Blood‘s Rutina Wesley has been cast in the upcoming Queen Sugar TV series on OWN. Warner Horizon Television is producing. 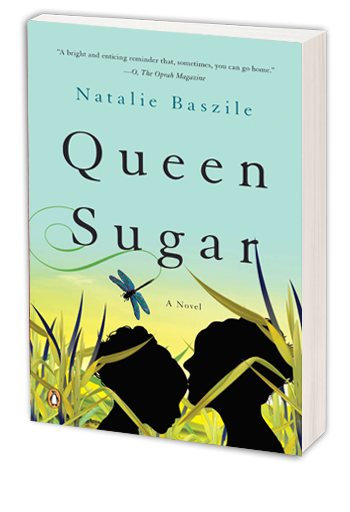 Queen Sugar is based on the novel of the same name, by Natalie Baszile. Queen Sugar comes from Ava DuVernay for OWN: Oprah Winfrey Network. DuVernay developed the series, wrote the pilot, will direct some episodes, as well as executive produce with Oprah Winfrey. (Los Angeles – January 13, 2016) — Rutina Wesley (“True Blood”) has been tapped for a series regular role in the new original series “Queen Sugar,” from award-winning filmmaker Ava DuVernay (“Selma”) for OWN: Oprah Winfrey Network and produced by Warner Horizon Television. In the series, Wesley will star as Nova Bordelon, a formidable journalist and activist based in New Orleans. Her life, and that of her brother and their extended family, undergoes significant change when her sister, Charley, returns to Louisiana from Los Angeles to help run the family sugarcane farm. Executive produced by Oprah Winfrey and DuVernay, the series is based on Natalie Baszile’s acclaimed novel Queen Sugar. DuVernay developed “Queen Sugar” for television, wrote its pilot episode and will direct multiple episodes of the show’s first season. The classically trained Wesley is perhaps best known for co-starring as Tara Thornton in the critically acclaimed drama series “True Blood,” which ran for seven seasons on HBO. She had a prominent recurring role on the acclaimed NBC drama “Hannibal” and recently guest starred in multiple episodes of The CW/Warner Bros. Television hit action-drama “Arrow.” Wesley co-starred in the hit 2015 Screen Gems film “The Perfect Guy” and previously appeared on Broadway in David Hare’s “The Vertical Hour,” opposite Julianne Moore. She began her career with a starring role in the independent feature film “How She Move,” which debuted at the 2007 Sundance Film Festival. Wesley is a graduate of the drama division of the renowned Juilliard School. “Queen Sugar” chronicles the lives and loves of the estranged Bordelon siblings in Saint Josephine, Louisiana: Charley, the savvy wife and manager of an NBA star; Nova, a world-wise journalist and activist; and Ralph Angel, a formerly incarcerated young father in search of redemption. After a family tragedy, the Bordelons must navigate the triumphs and struggles of their complicated lives in order to run an ailing sugarcane farm in the Deep South. “Queen Sugar” is produced for OWN by Warner Horizon Television. The executive producers are Oprah Winfrey and Ava DuVernay. The series is based on the book by Natalie Baszile. OWN: Oprah Winfrey Network is the first and only network named for, and inspired by, a single iconic leader. Oprah Winfrey’s heart and creative instincts inform the brand – and the magnetism of the channel. Winfrey provides leadership in programming and attracts superstar talent to join her in primetime, building a global community of like-minded viewers and leading that community to connect on social media and beyond. OWN is a singular destination on cable. Depth with edge. Heart. Star power. Connection. And endless possibilities. OWN is a joint venture between Harpo, Inc. and Discovery Communications. The network debuted on January 1, 2011 and is available in 85 million homes. The venture also includes the award-winning digital platform Oprah.com. For more information, please visit www.oprah.com/own and press.discovery.com/us/own. Warner Horizon Television (WHTV) is one of the entertainment industry’s leading producers of scripted series for the cable marketplace and primetime reality series for both network and cable. A division of the Warner Bros. Television Group, WHTV was founded in 2006. Its current scripted programs are Rizzoli & Isles and the forthcoming Animal Kingdom for TNT, the upcoming People of Earth for TBS, Pretty Little Liars for Freeform, Longmire and Fuller House for Netflix, and Queen Sugar for OWN. WHTV’s unscripted series are The Voice and the upcoming Little Big Shots for NBC, as well as The Bachelor franchise — which also includes The Bachelorette and Bachelor in Paradise — and 500 Questions for ABC, among others. Have you read the Queen Sugar novel? Do you like the sound of the Queen Sugar TV show? When it airs on OWN, do you plan to check it out? Tell us. More about: OWN TV shows: canceled or renewed?, Queen Sugar, Queen Sugar: canceled or renewed?, True Blood, True Blood: canceled or renewed? I want to know where the character Nova came from? Why is Hollywood now the boyfriend of aunt Violet? Will Hollywood still be referenced as a former friend of Ralph Angel? Wasn’t Remy white? Just curious. These are a lot of changes. I read the book and it’s good but it does kind of leave you hanging as to what happened to Charley? I am currently reading the novel ‘Queen Sugar.’ It appears the characters for the series are changed somewhat; there is no sister named ‘Nova’ in the book and Charley is widowed and has an 11-year-old daughter and is not the wife of an NBA star. Hopefully, these changes won’t take away from the original book. I’m looking forward to watching the series. I plan to look at queen sugar can’t wait. I love the haves and the have nots. If loving you is wrong.